Dr. Korhonen, a native of Finland, graduated from the Faculty of Dentistry at the University of Oulu in 1989. After practicing dentistry for several years in Finland, she moved to Canada and obtained her Canadian licence in 1996. 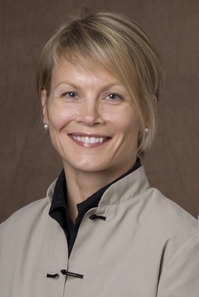 Dr. Korhonen has taken several continuing education courses on Clinical Diagnosis, Medical Emergencies, Nitrous Oxide Sedation, Oral Surgery, Pediatric Dentistry, Cosmetic and Restorative Dentistry, Restoration Dentistry and Orthodontics just to mention a few. Dr. Korhonen has been providing dental care in Orangeville since the late 1990s. She enjoys working in the community and feels very lucky to work with such a wonderful and professional team at the Fifth Avenue Family Dental Centre.